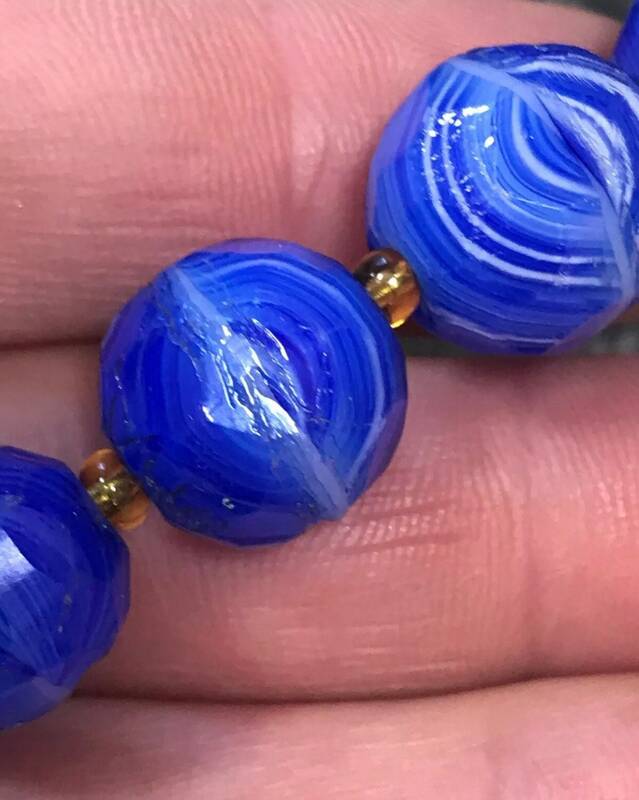 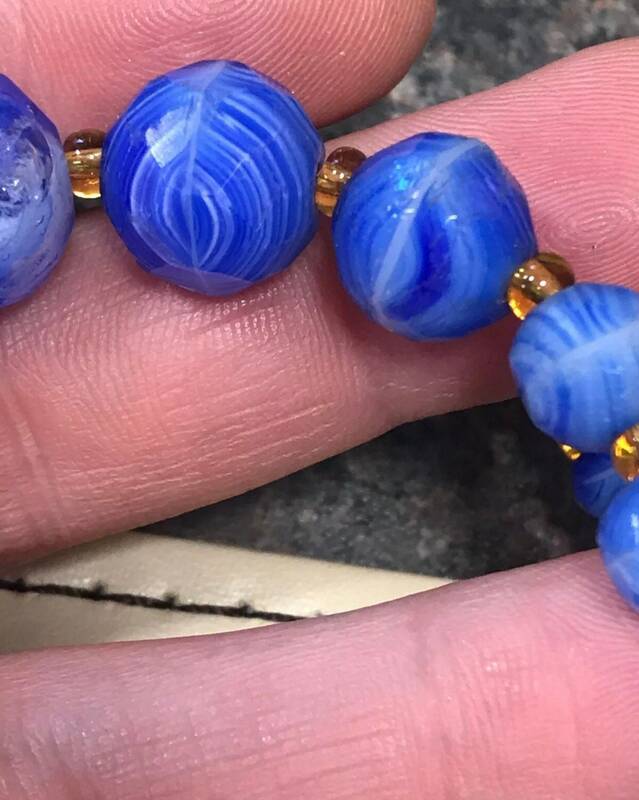 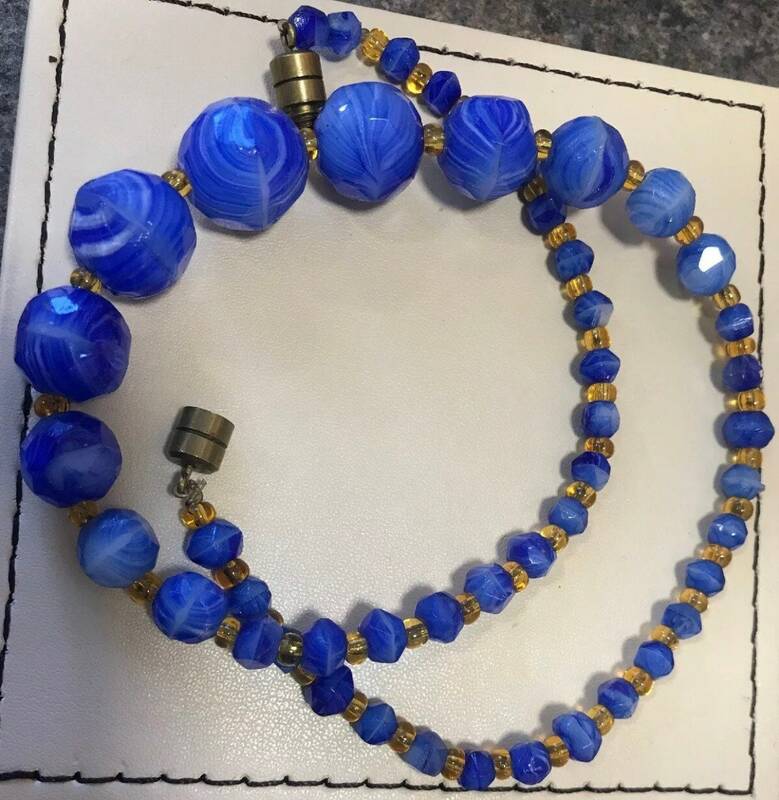 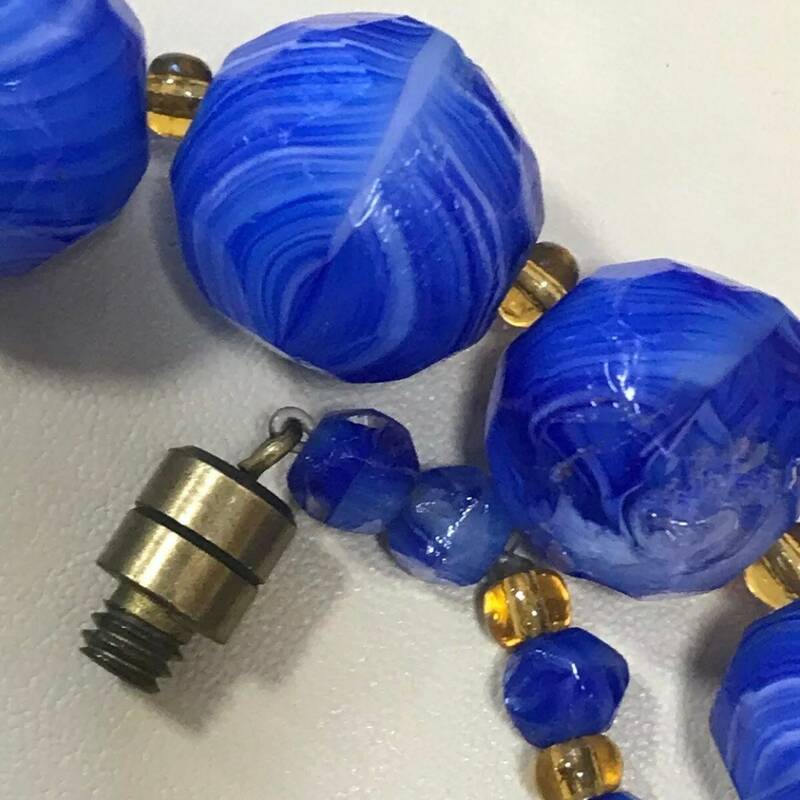 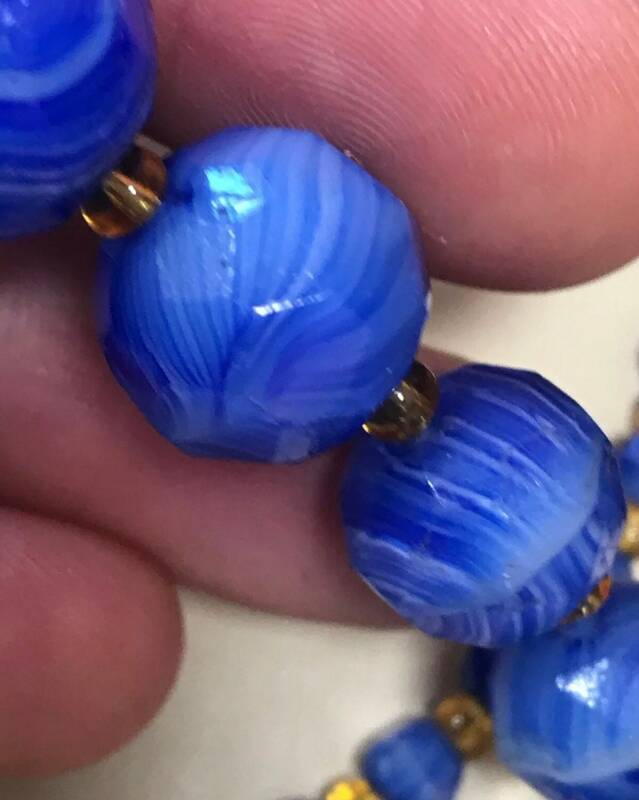 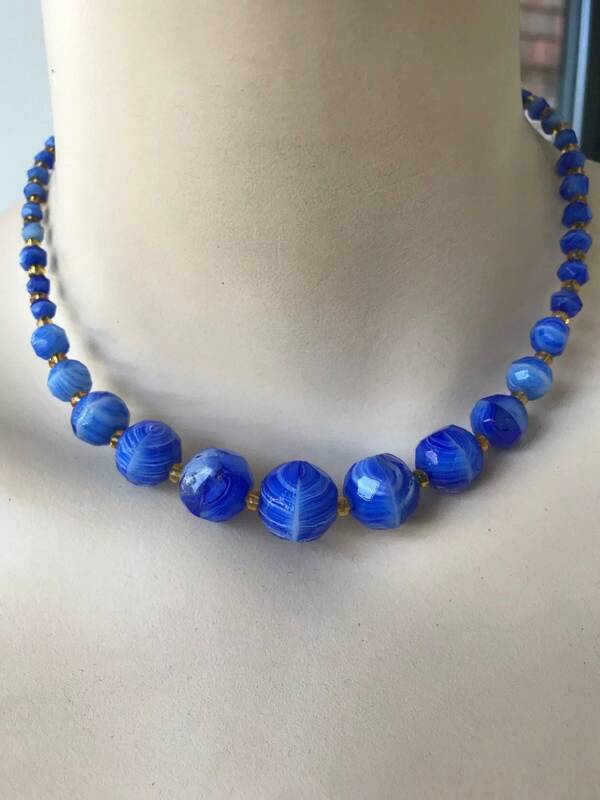 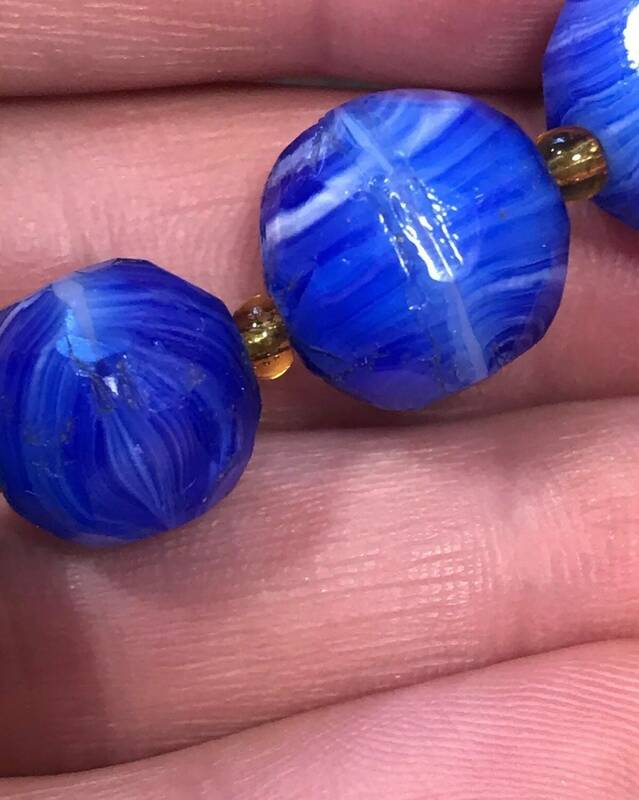 VINTAGE VENETIAN or maybe CZECH SWIRLING BLUE GLASS BEADED NECKLACE. 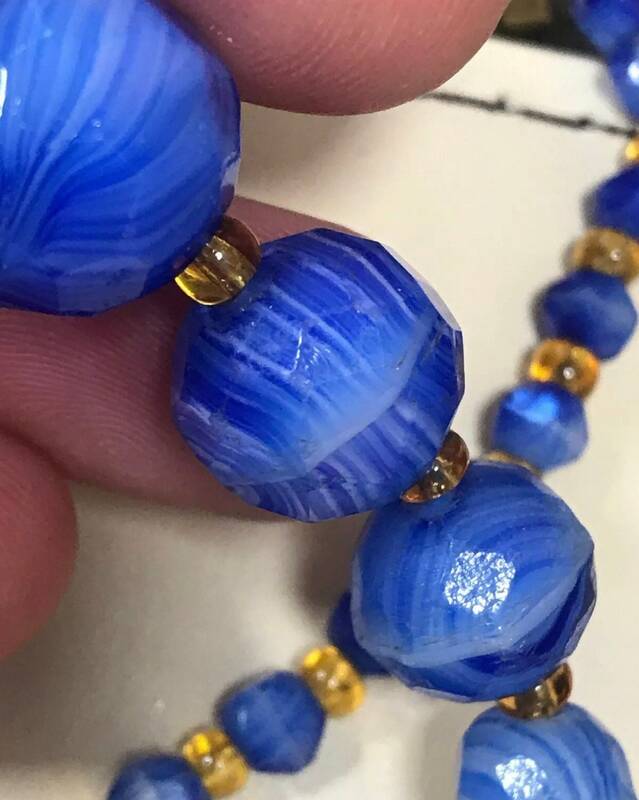 The beads look quite old probably 1930s, could possibly have been restrung in the 1960s. 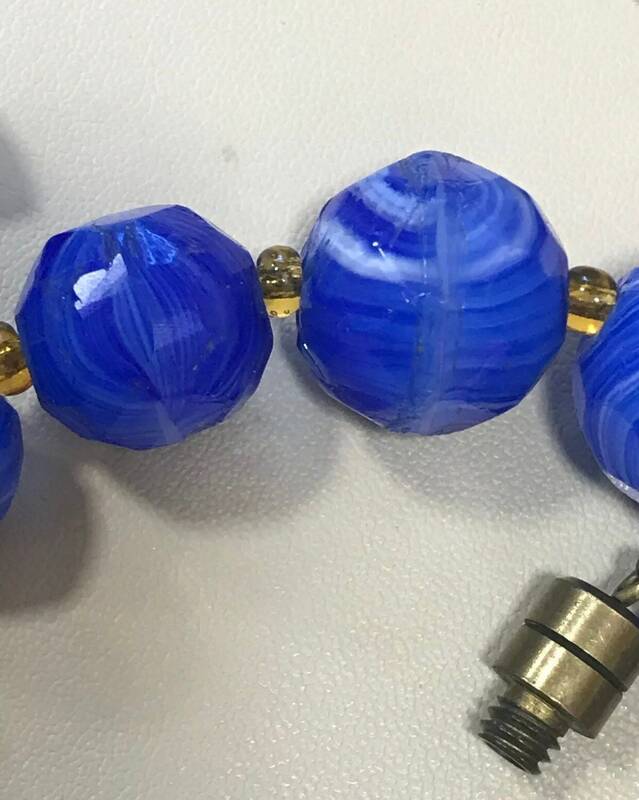 It fastens with the old style barrel clasp. 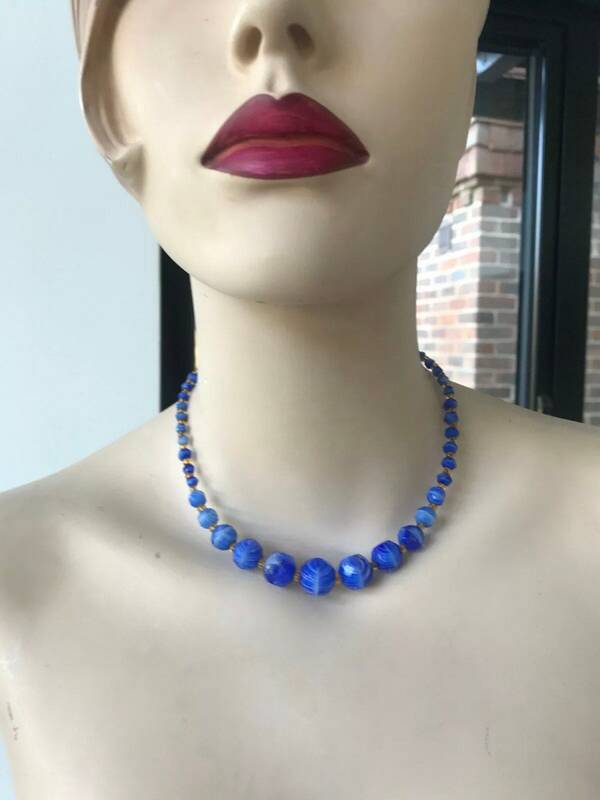 It measures approximately 16 inches.